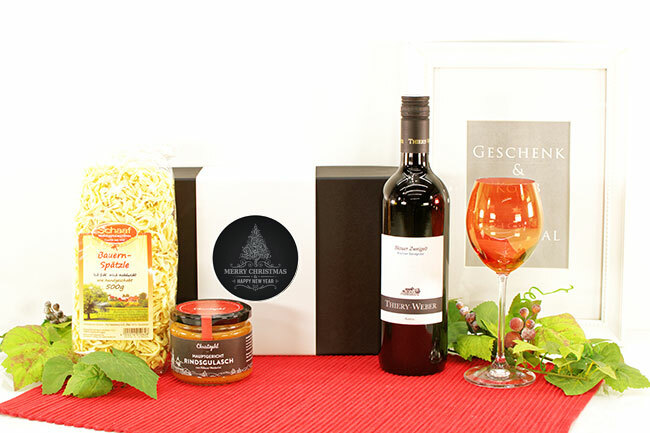 The gift basket German - Austrian friendship is a perfect combination of gourmet treats of both countries. 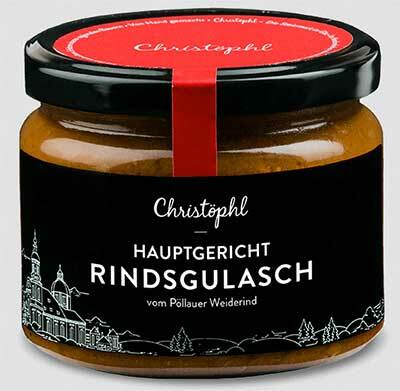 The excellent red wine from Austria, with a handmade goulash, also from Austria and Swabian spaetzle make a really delicious main course. A classic of Styrian/Austria cuisine, which must not be missed - beef from the Poellauer pasture management from the Poellauer Tal nature park. Just warm up - delicious with rice, pasta or potatoes.